Apple today seeded the first beta of an upcoming macOS High Sierra update to developers, two days after releasing the new High Sierra operating system to the public. 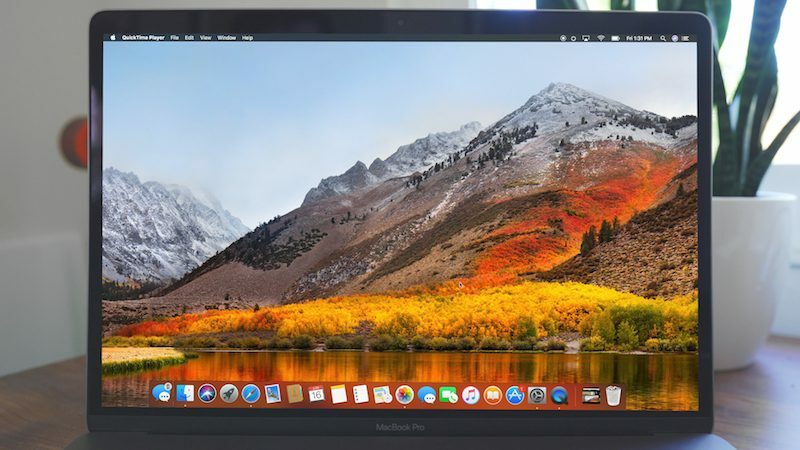 The first macOS High Sierra 10.13.1 beta can be downloaded from the Apple Developer Center or through the Software Update mechanism in the Mac App Store with the proper profile installed. It's not yet clear what improvements the first update to macOS High Sierra will bring, but it's likely to include bug fixes and performance improvements for issues that have been found between the time the golden master was released and its final public launch. The update could also include features Apple has delayed for a later set of betas, such as iCloud storage for iMessages, and we're also supposed to be getting some new emojis soon. We'll update this post with any new features that are found in macOS High Sierra 10.13.1. Juli, are you purposely trying to piss us off by mentioning any time new emojis are being added? If you are, I can tell you it's working, so you can stop now. Please believe me it is not particularly amusing to us. I actually don't know what a "kernel panic" IS. It’s what corn does right before it POPS! Yeah I think I will sit out High Sierra until 10.13.5 or so... All this yearly changing of the OS is getting a bit ridiculous at this point. I really wish they would hold still on one for a few years and perfect the stability. I mean do we really need any "new" features? They seem to just be adding stuff for the sake of adding now. Not because it is making anything better. And with Apple this seems pointless seeing as their OS is free. It isn't as thought they have money to make by doing this. I miss the good ole' days when an OS stuck around for many many years. Already had a kernel panic on my MacBook Pro and I haven’t even had High Sierra for two hours. Getting sloppy over there in Cupertino. wake me up when is 10.13.3 and up ready to download. Do not believe those twats anymore. Hopefully this resolves the whole keychain security issue. how about an emoji remover? I don't need ten million of them. Might be a great update idea. I miss the good ole' days when an OS stuck around for many many years. One "Kernel panic" and Apple is going to the dogs? I have run the developer betas since Mountain Lion and have never had a "kernel panic."